Well maintained by original owners four bedroom, two bath home in Birmingham Farms. The large eat-in kitchen built to entertain featuring abundant cabinet and counter space, as well as a walk in pantry. Open to the kitchen is the spacious family room with lots of natural light, featuring a wood burning fireplace and wide plank laminate wood floors. The master retreat showcases abundant natural light, sitting area, walk-in closet and new carpet. Ensuite master bath includes separate tub and shower. The move-in ready home also offers a formal dining room and living room as well as three additional bedrooms. The spacious private backyard features a large open patio, privacy fence and scenic views of greenbelt and pond. 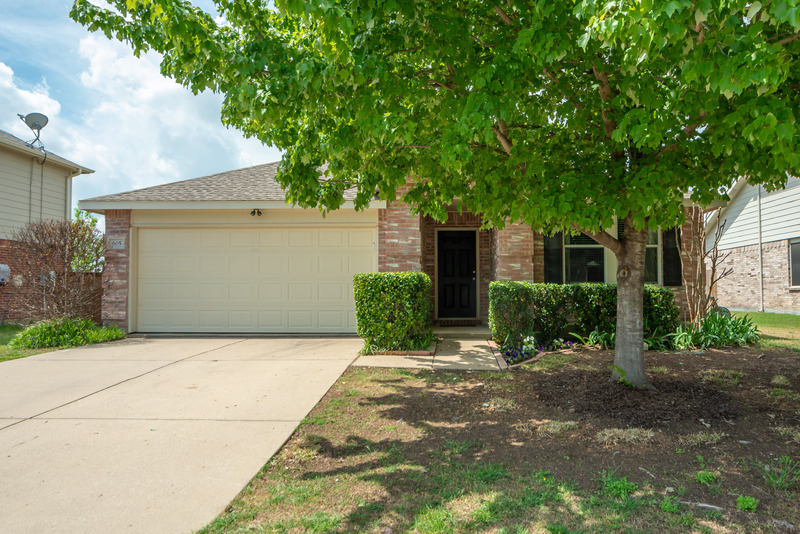 Prime location, just minutes from future Collin College and zoned for highly desired Wylie ISD schools. For full MLS listing, please click here.